The entrance to Cenote Palomitas. 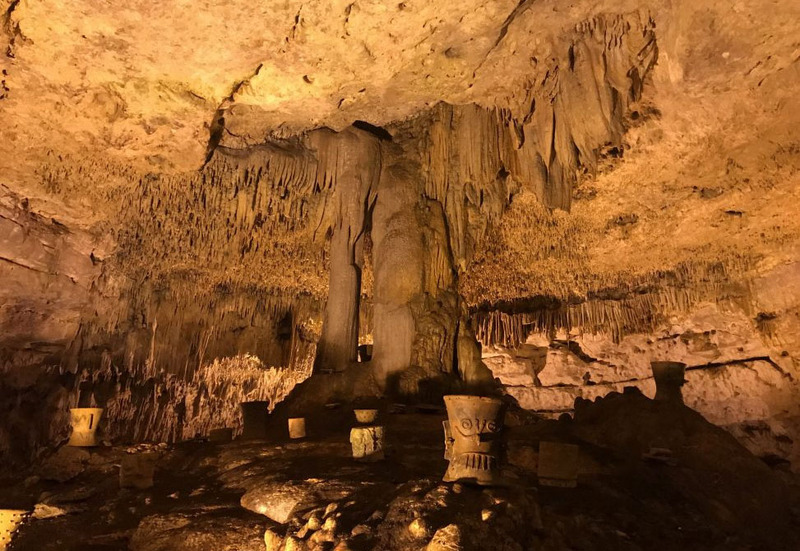 An international team of scholars, students and educators, led by two anthropologists from UNC-Chapel Hill, are teaching schoolchildren in Mexico about preserving stunning underground formations known as cenotes. Cenotes are formed over centuries as limestone collapses underground. This is of the Balankanché Caves, located near Chicen Itza, Mexico. Mexico’s lush Yucatán peninsula is like an enormous sponge strewn with thousands of holes, all connected to a vast underground freshwater system. These sinkholes, or cenotes, si-ˈnō-tēs, have formed as the porous limestone bedrock shelf has collapsed through the centuries, creating cavernous wells. Some are deep natural freshwater pools; others are filled with rich, dark soil that’s been fertilized by the aquifer below. All are part of the lifeblood of the area. To the ancient Maya cenotes were more than a vital source of water: They were sacred portals to the underworld. These exquisite formations are still an important water source today, as well as popular tourist attractions. Unfortunately, pollution, climate change and tourism are taking a toll that left unchecked could endanger this unique feature of the Yucatán landscape. Because the cenotes — numbering an estimated 6,000 or more — are interconnected, whatever happens to one ultimately affects them all. Carolina researchers hope to reverse this decline. With funding from a National Geographic Bold Ideas grant, Patricia McAnany and Dylan Clark from the College of Arts & Sciences are steering a collaborative project geared toward educating Yucatec schoolchildren ages 11 to 14. The goal is to channel their enthusiasm and emerging social consciousness into advocacy for conserving the cenotes and the subterranean aquifer. McAnany, Kenan Eminent Professor of Anthropology, has conducted field research and cultural heritage programs throughout the Maya region and is the Yucatec Cenotes project’s principal investigator. 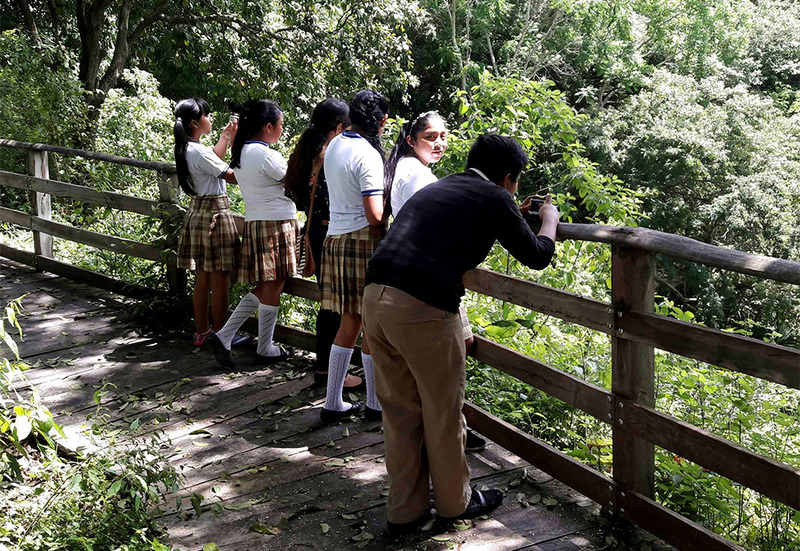 To cultivate these budding conservationists, the UNC-Chapel Hill researchers are tapping into broad expertise in the United States and Mexico. Clark is a Mesoamerican archaeologist and the program director of InHerit: Indigenous Heritage Passed to Present, which was founded by McAnany and emphasizes collaboration with indigenous people in archaeological research. He and Ivan Batun-Alpuche of the Universidad de Oriente (UNO) in Valladolid, Yucatán, are the project’s co-coordinators. 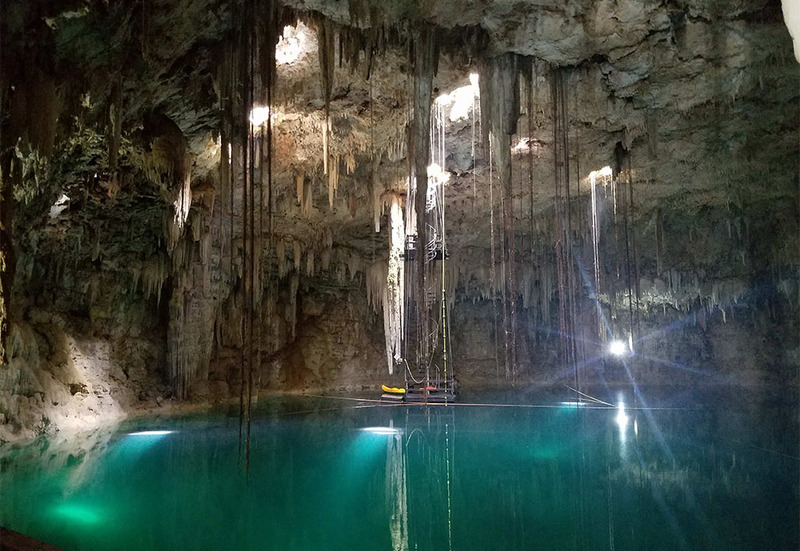 They are working with National Geographic Society explorers from the Great Maya Aquifer Project who have conducted underwater surveys of cenotes, as well as secondary school teachers and directors in nine communities near cenotes. Two undergraduate students from Carolina and nine from UNO also are working with the local educators. The goal is to create a hands-on educational program that is both comprehensive and relevant in three key areas: oral history and folklore, science and safety, and archaeology and heritage. When the bilingual (Spanish and Yucatec Mayan) curriculum modules are complete in early 2019, they will include detailed lesson plans, workbooks, student activities and online resources, all designed to complement the schools’ existing instructional programs. “Working directly with the teachers to translate the underwater exploration data provided by the National Geographic researchers into something middle school students can digest — and that connects to things they’re already doing — is incredibly exciting,” Clark said. Turning a project proposal into multiple finished products in the course of a year is an ambitious undertaking. The groundwork was laid last spring when Clark and Batun-Alpuche met with the corps of researchers to explore options for hands-on science activities, student-led oral histories and student exhibitions. The fieldwork began in earnest during the summer. The UNO undergraduates serve as teaching assistants, regularly going into the communities to help the teachers use the new resources. The addition of the two undergraduates from Carolina was serendipitous. The UNC students are part of the UNC curriculum in global studies’ pilot program of global investigators, in which students are deployed to assist with community-based research projects worldwide. The Yucatec Cenotes project was one of two projects selected this year. “These students, both of whom are bilingual, have been fantastic,” Clark said. 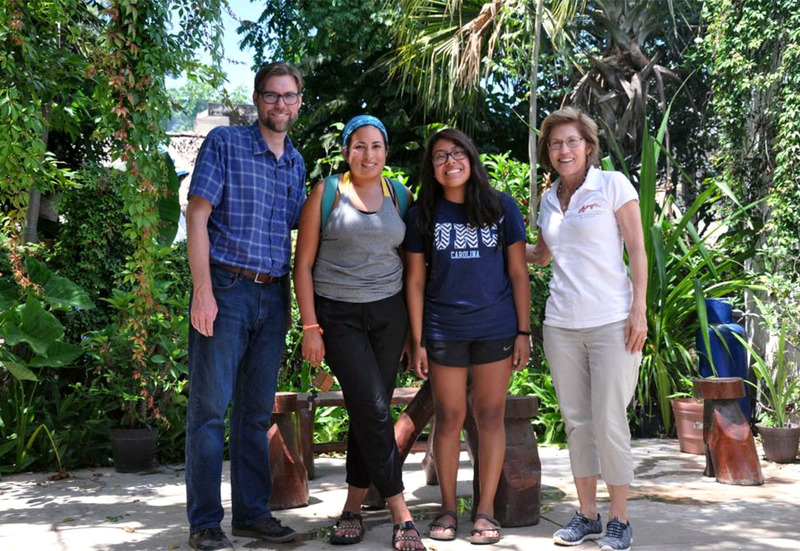 Sofia McCarthy, a senior majoring in information science and geography, and Leslie Crisostomo-Morales, a sophomore global studies and public policy major who is of Maya descent, spent the better of June working with the teachers and students. They conducted planning activities, organized and transcribed interviews and helped implement a key activity known as photo-voice. 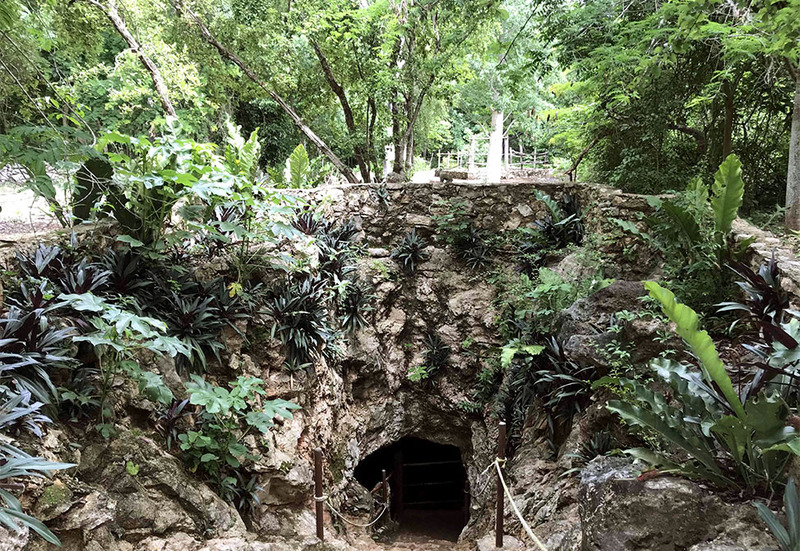 Through photo-voice, students were supplied with digital cameras and given free rein to photograph whatever they thought was important about the cenotes. As the students talked about their photos, they provided valuable insight for the researchers to design additional activities. The Carolina global investigators are bringing the benefits of their field experience back home. Crisostomo-Morales is applying the conservation principles she learned toward her current environmental science class, and McCarthy is putting the data-gathering experience to use in her upcoming capstone project. The UNO students seem most intrigued by the oral history aspect of the project — and the bonds it renews between young people and community elders. Because many young people are leaving the communities for more lucrative vocations elsewhere, the connection between generations has become tenuous. The hope is that knowledge passed down through oral history can forge a shared understanding once again. Staff members from University Libraries’ Southern Historical Collection have stepped in to help by creating community-based oral history kits through the “Archivist in a Backpack” project for the students. 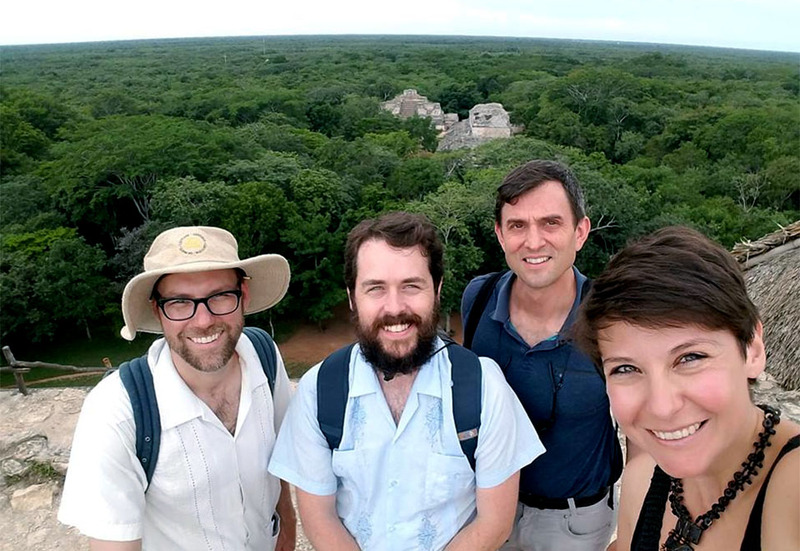 Biff Hollingsworth and Bryan Giemza went to the Yucatán in July to train the teachers in conducting oral histories and integrating them into the classroom. Connection and collaboration, two tenets of McAnany’s research philosophy, are at the heart of the Yucatec Cenotes project. “I believe that archaeologists have a responsibility to make what we do both beneficial to communities and collaborative with them. Otherwise it can seem like a very colonial enterprise,” said McAnany, who believes that Carolina is a leader in this type of participatory research. To have real-world application, she added, an endeavor should honor the past and have real implications for the future. That’s the ultimate goal of the Yucatec Cenotes project: to provide teachers with a suite of practical activities that reinforce the importance of cenotes and their role in sustaining the Yucatán’s fragile water supply. Then it’s in the hands of the next generation.